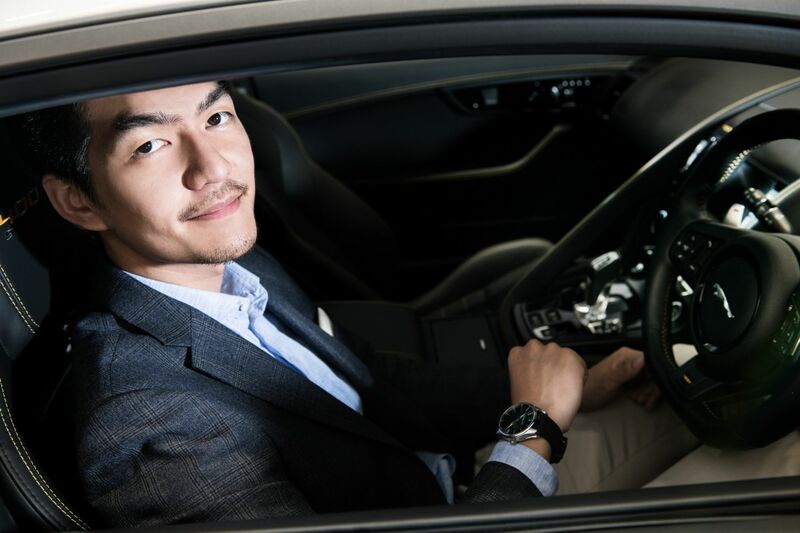 He’s the first to admit that he’s a “serial entrepreneur”—but Generation T honouree Lawrence Hui is no flash in the pan. He was in his final year of university when he launched his first business, handling tech projects on behalf of clients by combining self-taught programming know-how with the expertise of other engineering students at his university. The idea for car-sharing app Cove didn’t come immediately—and, in fact, while he was figuring out his next steps, Hui took a detour and became, in his words, “a construction worker.” Working on high power cable towers in the New Territories for electric contractor Gearwin Development is, strange as it may sound, how Hui gained the confidence to launch his own tech outfit. “Even though I needed to go to the sites and do building stuff, there were a lot of inefficiencies,” he remembers. “I talked to the owner and said ‘I think I can really do something to help the company’. Even quotations, they were still doing handwritten ones. I was like, ‘Come on, just do a template in Word and print it out!’"
“The company I was working for was not a small company,” says Hui. “It had 200 workers and basically there were admin staff that you call to see if someone is on leave or if someone is coming to the site or how many people are coming. They didn’t have a roster to manage staff. So I created a mobile app—because everyone has a smartphone—just to track everyone and where they are and what jobs they are doing. I think after I successfully created that, I had more confidence in myself in building IT products.” The rest, as they say, is history. I started my first actual company with my brother, helping anyone on the IT side. The company later on had its own product, a calendar app, and it actually had some traction with beauty salons. We talked to big salon chains and they used our system for things like accounting and membership management. This company went through different accelerators such as Swire’s Blueprint and one in Taiwan called Appworks. Towards the end of my time with the company we had some big clients such as MTR and IWC. In the end, [mobile solutions consultancy] Green Tomato made a strategic investment in Sanuker. Merging the company into a bigger group, we got bigger clients and projects, but I still preferred to do my own thing, so that’s why I started this car-sharing project, Cove. Cove is a car-sharing app in Hong Kong that’s been operating for almost two-and-a-half years. We call ourselves car-sharing but what we’re actually doing is a car-rental business. We place cars near residences or commercial buildings, so basically you don’t need to go to a showroom or Avis or Hertz in order to get a car. You just go downstairs to a parking space and it feels like your own car but you don’t pay for insurance. You don’t pay for parking. You don’t pay for maintenance. It’s like a bike-sharing company but with cars. We started the business with just one car because we have to own the car in order to get insurance so we started very small. We’ve since been able to expand to a larger fleet with the co-operation of different partners. What prompted you to launch a car-sharing app? Car-sharing in Asia is a relatively new kind of business. You see it a lot in the US and Europe but here it’s still a new concept and also not very culturally fitting because if you own your own car, you really don’t want to share. I used to own a car. I got it really for taking my pets around. But the owning cost of the vehicle was just too much so, in the end, I needed to sell it. But I saw that in Hong Kong, a lot of people still want to drive. I talked to multiple friends and my co-founder in Singapore, who was also facing the same problem—we both bought cars for our pets but then sold them because it’s just too hard to own one. At an early stage we pitched the idea to dealers for feedback and, possibly, a vehicle. We got in touch with InMotion Ventures, the investment arm of Jaguar Land Rover, and they were really interested and excited. They thought that our service targeted the right audience and was something that could put their cars in front of customers’ eyes. The first car we used was a Range Rover. Through this experience you could drive a Range Rover without committing to buying one for the next five years. With that first car we were able to prove ourselves to many stakeholders. Having worked in large corporations as well as in startups, what do you see as the key differences between both? I definitely like to work on smaller scales. It’s much more efficient and your colleagues’ roles are not so defined, so people can wear many different hats. For Cove, for example, there’s a person I can’t even give a real title to because she does marketing and business development, and sometimes she goes for partnerships and does some administration and operations work. The culture with startups is much more diverse and flexible—but at the same time you really can see the true value of your co-workers. For a larger corporation, if, say, you are in sales or in customer service, you really have one single responsibility. And if you have a defined title, you become what that title defines you as. What are some of the challenges you've overcome along the way? With startups, when you see challenges you need to think about it very long term. It’s not about whether you get your salary next month or whether your colleagues will have a bonus next year. It’s really about how you want your business to be down the road. Maybe 90 percent of startups fail in the first year. And the way to survive is not just to hang in there and wait for the competitors to die. You need to think of new opportunities. And we have a lot of new thinking about our products. It’s not just car rental—get more users, get more cars. Now we have new people who like to experience the drive and who want the car for the whole weekend. We also see greater demand for seven-seaters. In a showroom, you can only try a car for 15 or 20 minutes, with a salesperson next to you. But if you have a family, perhaps your wife is saying “this is great for the kids” and then the conversion is much quicker. One of the new ways we are expanding is not just by renting but by maybe upselling and then becoming a trading business. What is the ultimate goal with Cove? Our core value is really to redefine the car-ownership model. Most millennials will have a driving licence but they won’t own a car because they use taxis or Uber. We want people to think “Hey, I don’t actually need to own a car all the time. I can drive on demand” or “If I’m not really using my car, I can rent it out?” This concept is so different from 10 years ago. And in the next 10 years we still need more education or more development in terms of how people see owning a car. [My other app] Moveco, for example, is inspired by what we do with Cove. It’s a data company, collecting car data, making use of the data by creating a rewards programme like frequent flyers programmes. We see a lot of cars in the city but no-one is harnessing the data of where they are, what their use is and what patterns there are. It’s not just about car ownership—it’s seeing patterns of how people travel and how we make use of this data to do some more meaningful things like city planning or fine-tuning the demand of people using taxis or public transport.